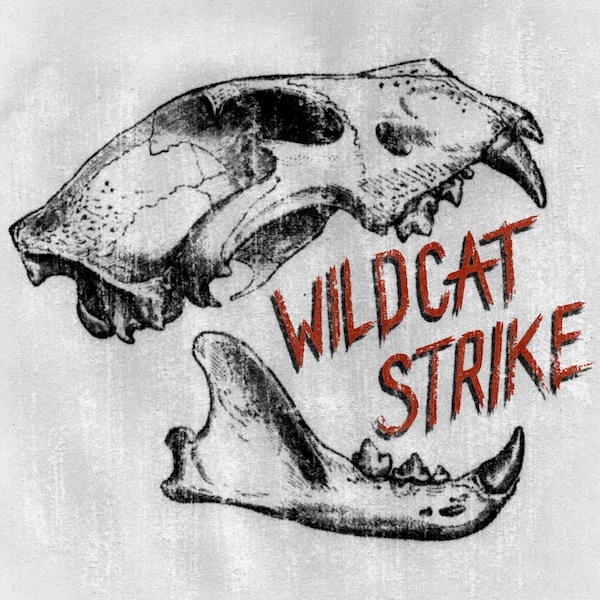 Wildcat Strike came onto our radar with their energetic rock & roll sound. 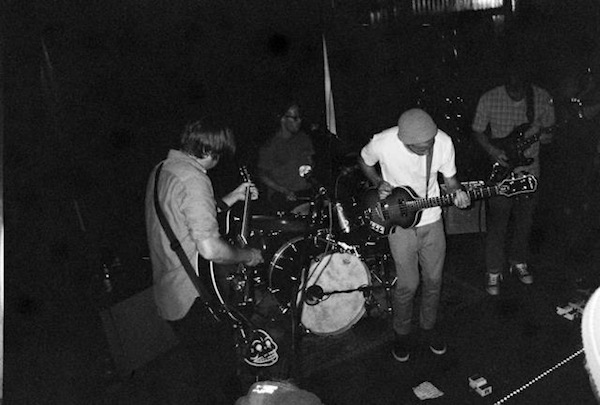 Forming just over a year and a half ago (still relatively young in band years), the five member band has already released a thunderous debut. The self-titled album has no shortage of catchy songs. The entire album is packed with piano, solid guitar riffs, polished drums, and melodious vocals. You can really feel that the band had a lot of fun writing and recording. The vibe really comes through in the finished work. If good old rock & roll is your thing, grab the album without hesitation! Highly recommended! TheKnifeFight: What’s the story behind Wildcat Strike? How did you come together and decide on this fierce name? Will Tuddenham: Wildcat Strike got together about a year and a half ago in the basement of Jordan Mendenhall’s house. We spent a whole winter building a small music room in the unfinished part of Jordan’s basement (mostly Jordan), without really having a set musical project in mind. We had all done a few small music projects with each other before but one day Jordan decided that he was sick of feeling like we had wasted a bunch of time building the room for nothing and we decided to get down there and mess around. Our first ever song, Ain’t Nobody Gotta Know (We’ll ask the grammarians to lay off us for the title, we know it’s not a proper sentence for many reasons), came together pretty serendipitously on that first night and that got us thinking we could be making some fun music. We decided on the name that night because Tony had been talking to his dad earlier that day about wildcat strikes and Tony immediately thought it would be an amazing band name. TKF: What inspires you to write and perform music? WT: Our inspirations for wanting to make music are varied I think but I would say that there are a lot of really awesome moments that we get while playing music where we all get the chills and want to perfect those moments and get them out there for other music lovers to hear. Also, we are all very big fans of music in general; especially of seeing live music being played by people that care about it. WT: The only pre-show ritual we have is a collective effort to help our lead singer Tony to preserve his delicate songbird voice from over-straining too early. We have seen some strange teas brewed in the effort to keep that fine instrument tuned. Other than that we just try to keep our wits about us as best we can so we don’t play terribly sloppy shows. TKF: What’s the last Youtube video that made you laugh? WT: As far as Youtube videos go, we are pretty satisfied with your occasional kitten or puppy video. Once in a while we’ll get some John Travolta and Olivia Newton John to spice things up though too. Also, if you’ve never seen the techno viking or the little French girl telling a story about animals, you should give them a try. WT: Next up for Wildcat Strike is a lot of hard work. We are going to start touring soon and we are also planning on recording a second album soon. We have been working really really hard on our first album and we have toured a little bit to promote it. We really hope that more people will give us a try and maybe catch a little bit of the fire in our bellies and maybe even come out and see us play a live show sometime. We can’t say we promise not to bite, but we promise we’ll try.